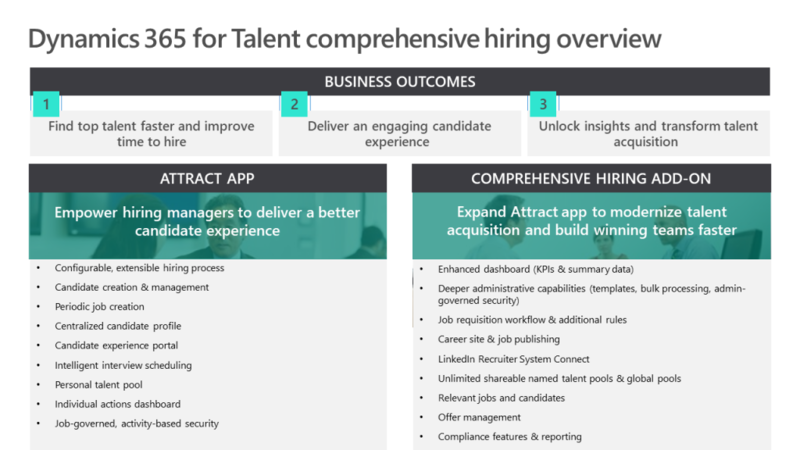 Dynamics 365 for Talent takes a modern approach to talent acquisition. We have digitally transformed the hiring experience to connect everyone on the hiring team – so you improve your quality of hire, while shortening the time to get them onboarded and impactful. Talent empowers recruiters to collaborate more effectively with hiring managers and offers the tools needed to treat candidates like VIPs. 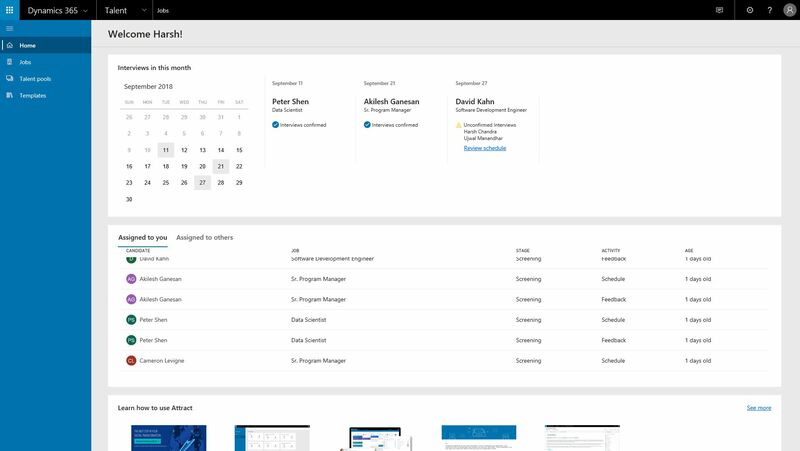 You can view all of the new capabilities in this release in our what’s new in October video and association demonstrations on the business applications release website. Building winning teams takes collaboration and easy access to information. We have introduced new capability sets to enable such efforts across your hiring team. Many of the key new capabilities are highlighted below. To find out how to use these new features check out the latest update to our documentation. LinkedIn Recruiter integration (RSC) – Eliminate toggling between systems and improve accuracy through bi-directional integration between Attract and LinkedIn Recruiter. Access LinkedIn Recruiter information from within Dynamics 365 for Talent, including candidate notes and communication history, such as InMails. And view status history, notes, and feedback created with Attract in LinkedIn Recruiter. Job requisition approvals – Drive consistency and job requisition compliance through an enforced approval process. Once jobs are submitted, they are routed through the appropriate channels for approval, they can be activated and posted. Job posting to LinkedIn – Easily send new job requisitions to LinkedIn Jobs to advertise the position and allow candidates to submit an application from within LinkedIn. Jobs sent to LinkedIn will be posted within 24 hours. Role management – Ensure compliance and data integrity with the ability to control access to data and actions using pre-defined security roles. Easily assign admin level access to roles requiring full control, and read-only access for users that will not need to make configuration changes. Recruiters and hiring managers can also setup delegates to act on their behalf for specific jobs. Dashboard and notifications – Improve your time to hire by ensuring the hiring team is guided through the entire process and completing tasks when required. When logging into Attract, users will start at a dashboard that displays all activities that are open for their jobs. Email templates – Ensure consistency and speed process execution with the ability to create a template library for communications sent from within Attract. Full candidate profiles – Candidates can create, maintain and apply with their complete profile information right from the Attract application. Enhanced application flow – Personalize your hiring experience with the ability to create multiple, unique process flows based on the job requirements. Career site with search – Quickly create a career site where open jobs will be posted. Candidates can search for specific keywords to find open jobs that may be a good fit and easily apply for the role. Application history – Improve interactions with candidates by understanding their application history, along with their status for each job opening. You can also get further details by opening the candidate’s application directly from their profile. Talent pools – Speed time-to-hire and quickly build winning teams with the ability to easily track and organize applicants into searchable and sharable groups. Easily create a personal talent pool, and if you have the comprehensive hiring add-on you can create, share, and manage an unlimited number of talent pools. Quickly move candidates from a talent pool to open jobs. Candidate search – Easily find a specific candidate with the ability to use filters and search across jobs and talent pools. Once you find the right candidate, you can push them to a specific job with a single click. Offer management – Improve your win rates with a streamlined offer process that allows you to compelling packages and get them to your selected candidates quickly. Create a template library of offer documents and packages to simplify and speed the process, while enforcing compliance and consistency. New offers can quickly be created using the templates, then sent for approval as necessary, and extended to the candidate via their portal. AdobeSign capabilities enable a paperless experience and speeds the response timeline. Analytics – Visualize your pipeline with analytic reports. See a snapshot of the hiring process for a job with job analytics and surface insights on hiring trends with analytics hub. EEO/OFCCP – Recruiters can set up at what points in the hiring process the EEO/OFCCP survey is asked, candidates can choose to respond or decline the survey. Their responses are anonymized from the entire organization and only admins can pull a compliance report to view the survey responses for their organization. Candidate and job recommendations – Improve your quality of hire and speed the shortlisting phase using machine learning to triage prospects and applicants. By intelligently matching key words and phrases between the job posting and the candidate’s application documents, Attract helps people managers quickly identify top talent to call in for an interview. We also help prospects find the positions in which they will have the most impact at your organization by analyzing their application documents and profile. As of October, Dynamics 365 for Talent can be extended using the Common Data Service for Apps and the Power Platform. This enables you to configure and personalize the system using Power Apps and Power Flow, as well as get additional people analytics using Power BI. 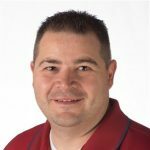 The hiring process is more adaptable than ever with the addition of custom activities such as PowerApps, Web content (iFrame) and Microsoft Forms. You can tailor the hiring process to suit your business needs and processes with these new types of activities and ensure that both the hiring team and candidates have a seamless, customized experience. With these powerful, new capabilities, Attract can help your organization identify and hire the right talent more efficiently while allowing for a greater degree of freedom to tailor the hiring process. Be sure to sign up for the trial to kick-start the digital transformation of your organization’s hiring process!